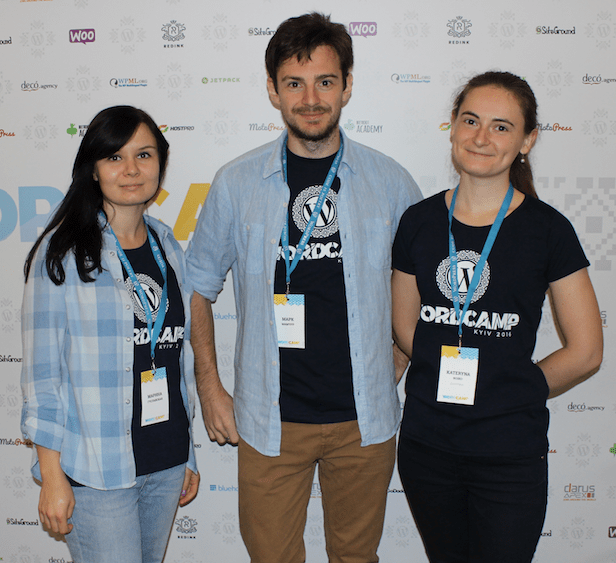 Mobilunity marketing and product management team was delighted to became the members of Ukrainian WordPress community and join one of the biggest WP events this fall – WordCamp Kyiv 2016. Our Marketing & Product Management department manager and team lead had a chance to listen to the speakers from Ukraine and Europe sharing experience in different aspects of WordPress development and promotion. It was extremely nice to hear about the trends, which were already implemented within our company: MVC approach to building projects, using trackers in web development, prioritizing feedback from MVP rather than making product perfect, website accessibility for people with disabilities and of course WordPress website security. Special gratitude should be expressed to the organizers of event: speakers, location, atmosphere, everything was just great and definitely at the European level!